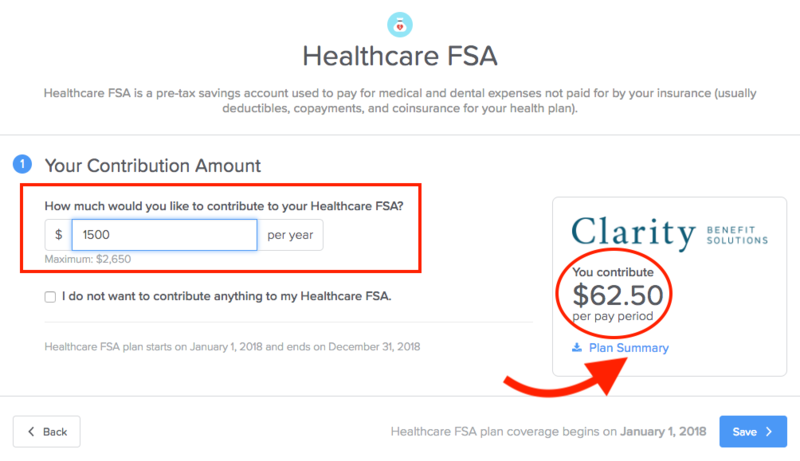 How do I enroll in FSA/HSA on GoCo? Enrolling in an FSA or HSA on GoCo is very simple and similar to all your other benefits. 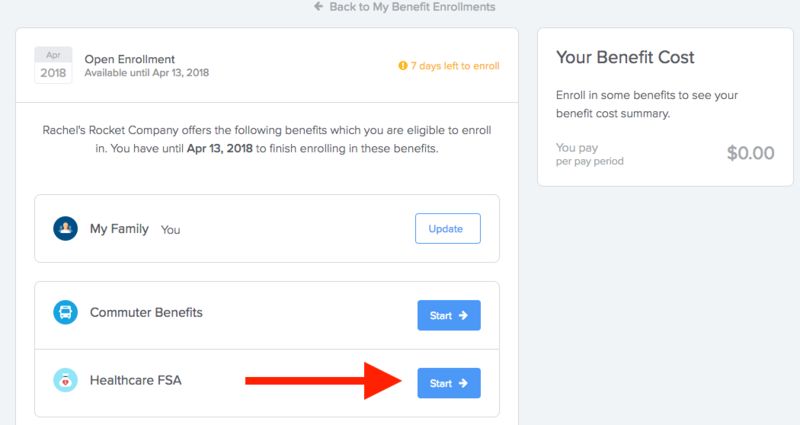 Log into GoCo then select Start Enrolling on the New Hire Enrollment banner at the top of your profile. GoCo calculates how much this will cost you per period for the rest of the plan year. There is an IRS maximum noted. If you have questions about what the plan is you can click on Plan Summary for more details. 4. Hit Save and you are all set!